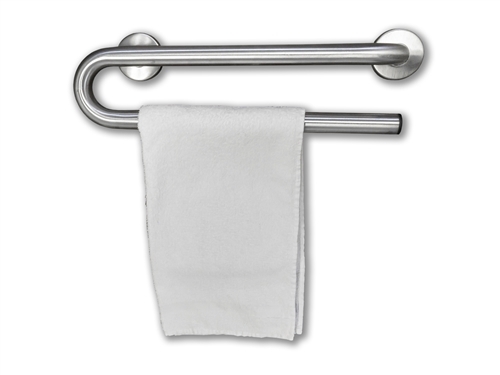 This stainless steel grab bar is 30 inches long (centerline) and has an integral towel bar below made from one whole piece. 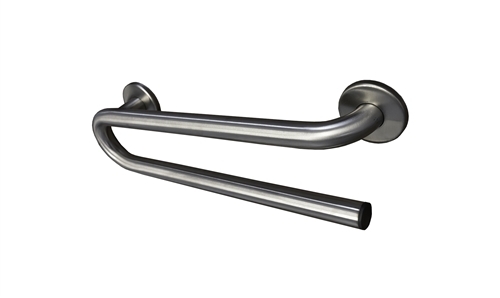 The grab bar is fabricated from 1.25" diameter satin finish stainless steel and is fully ADA compliant. The mounting flanges are concealed with snap-on stainless covers. Grab Bar with Towel Bar 18" Grab Bar with Towel Bar 36" Grab Bar with Towel Bar 24"